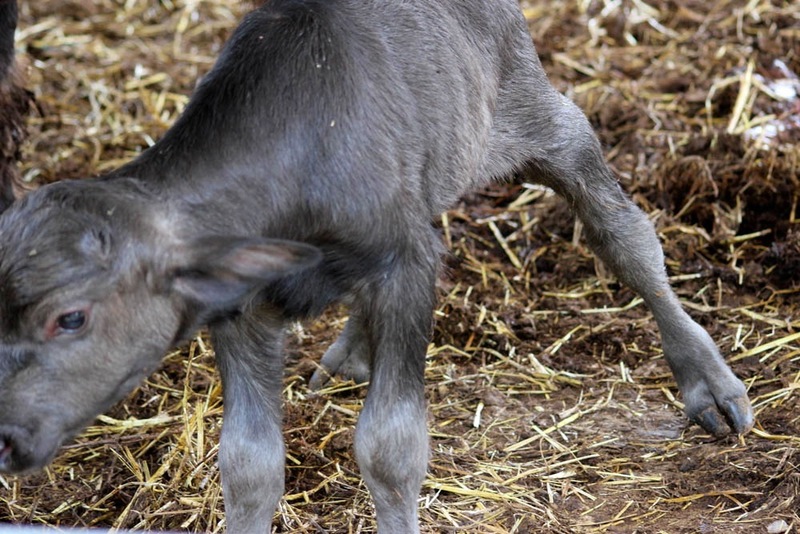 Water Buffalo First Steps. I melt! 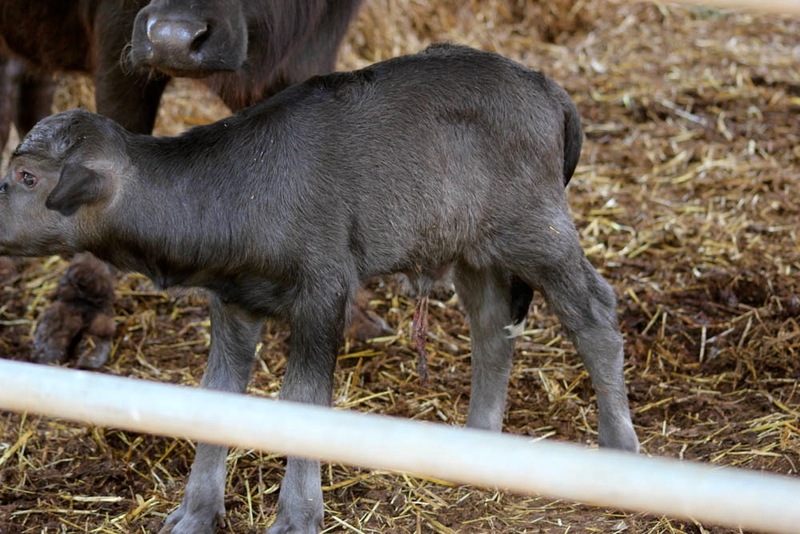 In the area of Salento, Puglia, we visited a Buffalo Mozzarella maker and farm. 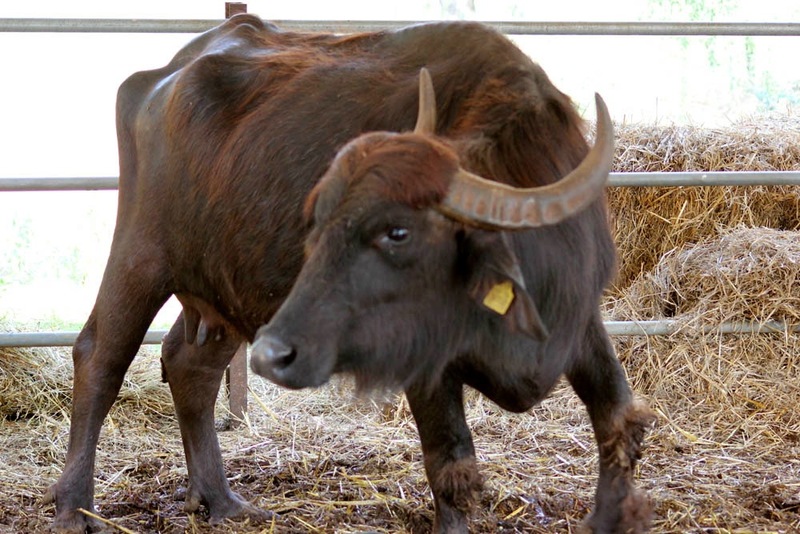 La Masseria San Biagio is an old farmhouse that now supports a water buffalo herd and creamery as well as extensive wild herb and vegetable gardens, a young fruit orchard, and an educational farm. 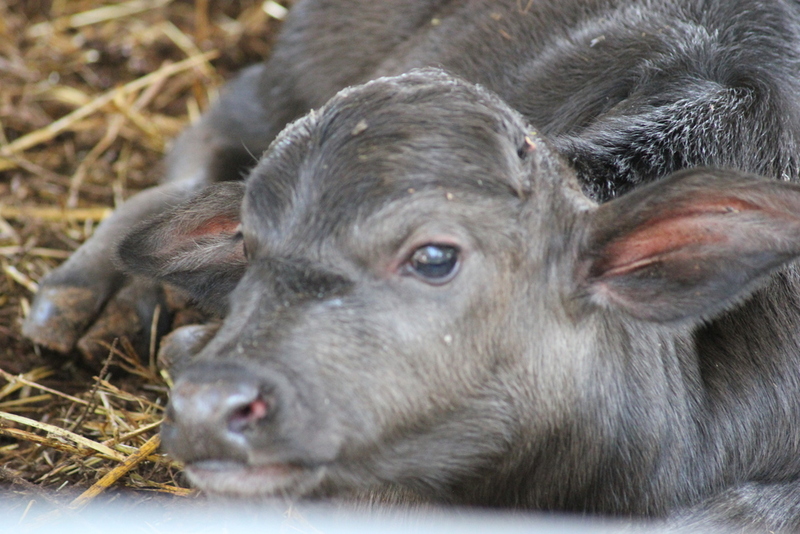 The day we visited we found ourselves the happy witnesses to a baby water buffalo's first steps! I know we'll see many births and first hobbles in our future, but I'm positive that this one will hold a special place with me. 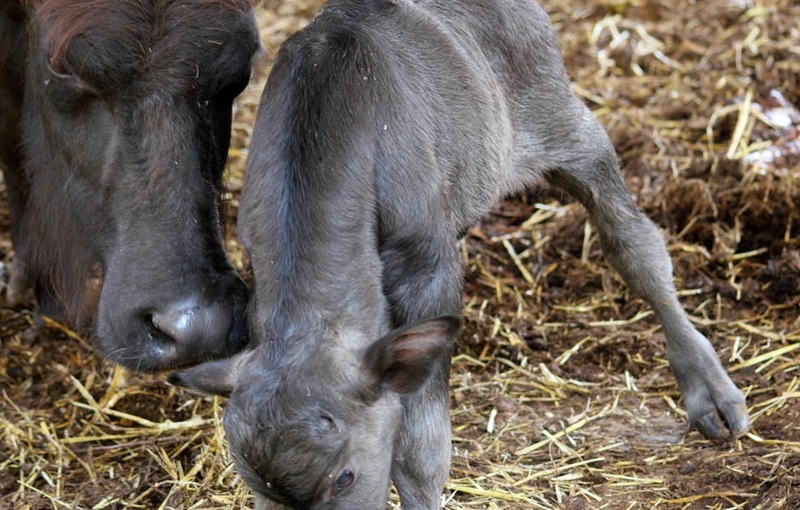 After a chat about the Masseria and a walk through their fascinating and madly deliciously smelling gardens, Davide, one of the farmers, told us about the calf that had just been born. He brought us over to a secluded area padded with fresh straw where the most beautiful, doe-eyed, knock-kneed, dewy nosed little creature lay blinking while it's enormous wild eyed and dramatically majestic mother paused from nuzzling and licking it to circle her calf before tossing her fur around and taking one or two "don't mess with my baby!" steps towards us. We watched for several minutes before the calf started to rock a bit from side to side, lengthened one of it's front legs, and then tucked it beneath it's chest. 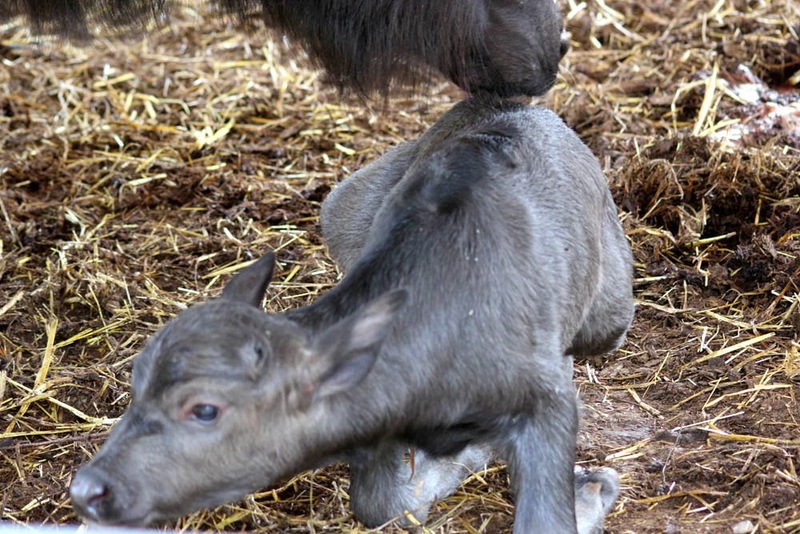 After a little more rocking and slow wiggling, the calf had her other front leg under her as well. 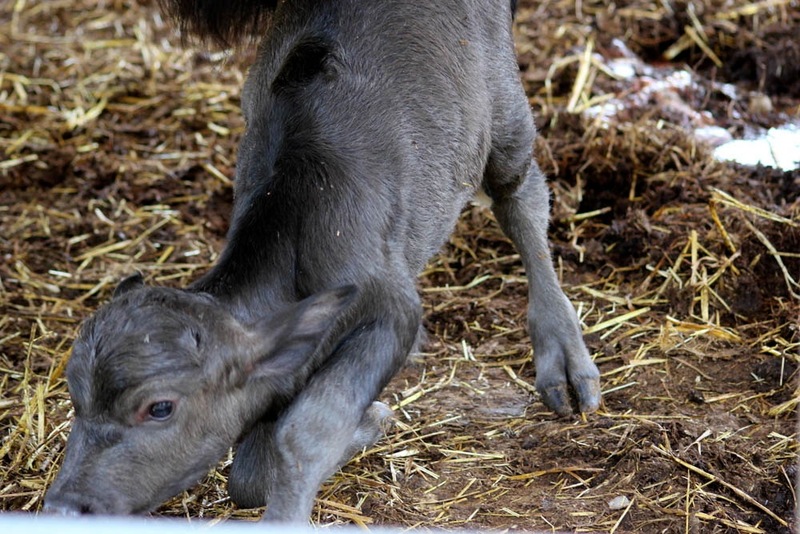 As she started to lean forward and push up, her momma gave her a gentle nudge on the rump, coaxing her along. Swaying precariously but with Mom helping her to balance with little nuzzles, she made her way up. 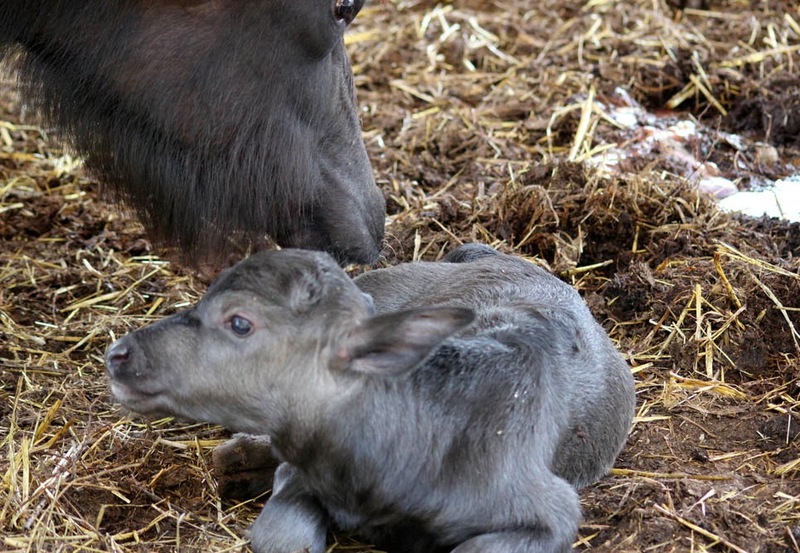 Finally standing, the calf looked like a 4 legged tripod - hooves splayed out in all directions! Big momma moved back in and gently helped the calf move her feet under her until finally, she was standing sturdily. If you look closely you can see her umbilical cord! The first of many honeymoon highlights that made our trip unforgettable. 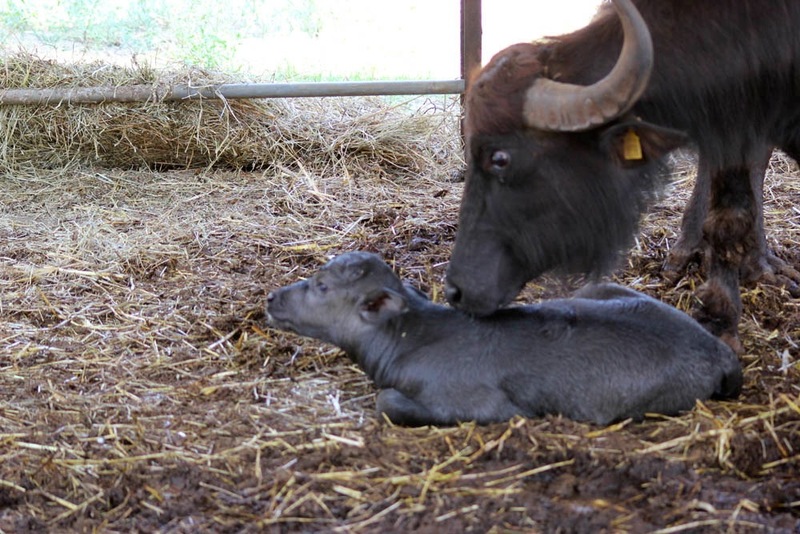 We'll have more on the water buffalo milk and mozzarella making soon! On another note - I hope all of you are well and hanging in there after the hurricane. My home state of VT has been hit pretty hard. Farms have lost crops and animals and the raging flooded rivers have washed away roads, creating over 10 stranded "island" communities (my Brother is stuck in one but safe and living wild!). Seeing the pictures my parents have sent is even more surreal after having just been there 2 weeks ago for our wedding. I know a lot of other areas have had similar experiences and our hearts go out to you!